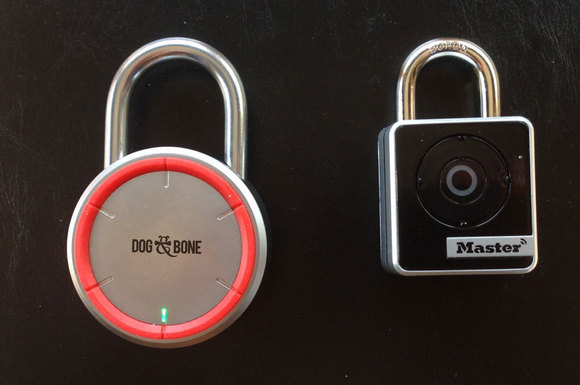 How might we utilize a bluetooth lock to improve students' locker experience? 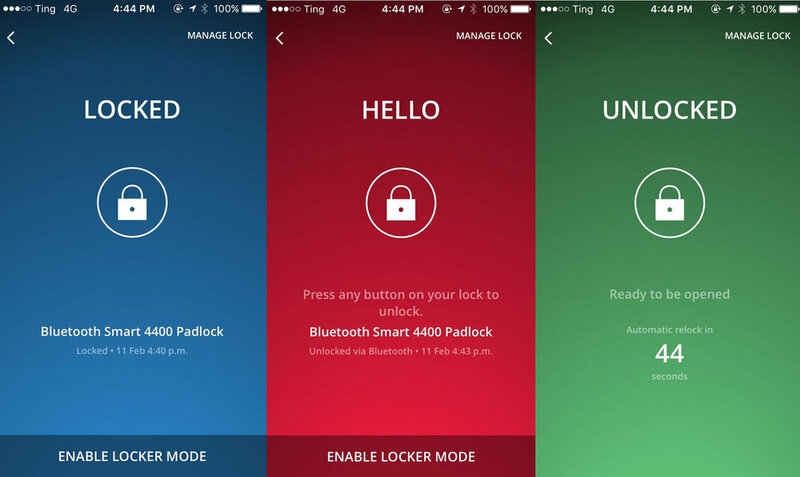 Master Lock was building a bluetooth lock and needed a digital partner to build the corresponding mobile application. Right off the bat we put together a research plan and performed contextual inquiries. 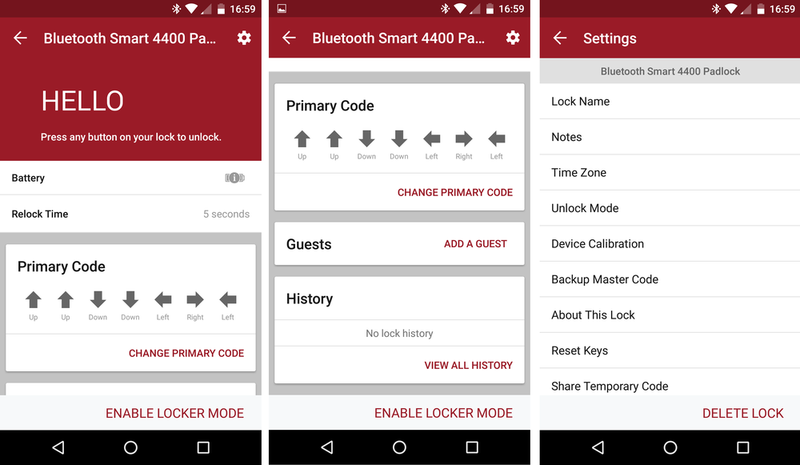 After collaborating with the client on research findings, we decided to move forward with these two themes: (1) optimizing an experience for sharing lock access, and (2) utilize bluetooth for proximity unlock capability. We also wanted to create an experience that felt secure and sensitive to privacy so that customers would have a sense of trust in the Master Lock brand. On this project, I was the Lead Visual Designer and Information Architect for the Android application. We created a design language that was copasetic with their brand. Then a co worker and I divided and conquered applying visual design direction to the wireframes. I also was responsible for translating native iOS wireframes that already existed when I started the project into a native Android experience. It was really exciting because Material Design had just launched! User flows, wireframes and user interface design components were created for the iOS experience and then translated into the Material Design language for their Android application. I specifically lead the Android design charge with the challenge of having an extremely short deadline. Working closely with the Android developers was key to the team's success. The application is now available in both the Google Play Store and the App Store.